No explanation required perhaps for this photo, which in realtime would have attracted women….am trying to somehow connect this with Indian freedom struggle !!... 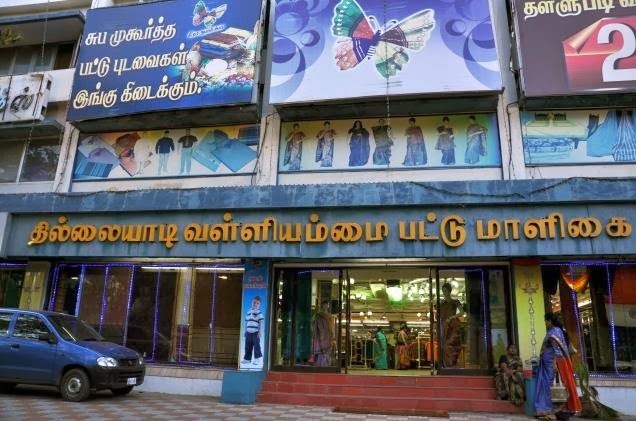 The Tamil Nadu Handloom Weavers' Cooperative Society, popularly known as Co-optex, is a cooperative of traditional handloomweavers of Tamil Nadu ~ and you are looking at display in front of a Cooptex showroom. This little village has connection with Gandhiji … hundreds of people from here had gone gone to South Africa in the early 20th Century both as indentured and free labour. Several of them had been deported back after that first Satyagraha movement Gandhiji had launched while in South Africa ~ and one among them was a woman (rather a young girl) who lived for only 16 years. Tharangambadi also known as Tranqubar is in Nagapattinam from where indentured labour from India, mostly Tamil and Telugu peasantry, left from Madras aboard the S.S.Truro. 22nd February [Saturday] marked the death centenary of Thillayadi Valliammai, the revolutionary, famed to have inspired Mahatma Gandhi in his fight against colonial rule. Born to Mangalam and Muthusamy Mudaliar, Valliammai was initiated into political struggle by Gandhi, when the colonial State of South Africa declared null and void all marriages forged outside of the South African law or Church law. Thousands of marriages were annulled. Valliammai marched with her mother from Transvaal to Natal protesting against the unjust laws. Valliammai also participated with her mother in protests against exorbitant taxes levied against workers. They were arrested and sentenced to three months of hard labour. It is recorded that when Gandhi visited a fragile and ill Valliammai shortly after her release, the young girl vowed to be arrested any number of times to carry on the fight for people’s rights. Gandhi quoting the girl cited her as someone who inspired him to stay the course in the fight for equality in South Africa. But the girl’s physical health did not match her mental strength. Shortly after her release, Valliammai, all of 16 years, died on February 22, 1914. As the bust of Valliammai at dusty Thillaiadi drew crowds, a function to mark her sacrifice was being held in Johannesburg it is stated. Newspaper reports state that a Dharmapuri-based retired BDO Balasundaram took the initiative to organise the events jointly with the local panchayat. History records suggest that Thillaiyadi Valliammai (22 February 1898 - 22 February 1914) was a South African Tamil woman who worked with Mahatma Gandhi in her early years when she developed her nonviolent methods in South Africa fighting its apartheid regime. Her father was a trader and owner of a confectionery shop. 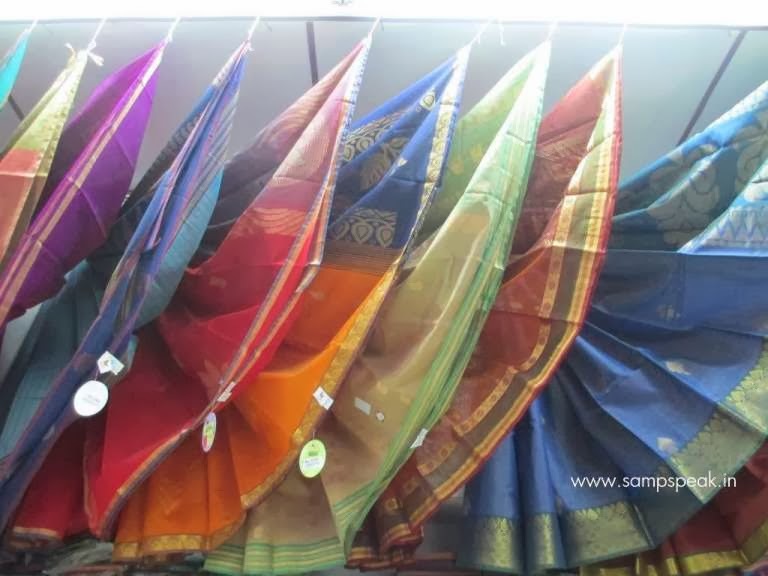 Since her mother Janaki is from Thillaiyadi in Tamil Nadu, her daughter Valliammai came to be popularly called Thillaiyadi Valliammai. Valliammai had never been to India. She grew in an environment that was rather hostile to Indians. But the young child did not even know that it was not right to be segregated so,until she was in her early teens. A law was passed that any marriage that is not according to the Church or according to the marriage law of South Africa would be held null and void, which disproportionately affected the Indian community in that country. Young Valliammai joined her mother in the march by women from Transvaal to Natal – which was not legally permitted without passes. Valliamma, and her mother Mangalam, joined the second batch of Transvaal women who went to Natal in October 1913 to explain the inequity of the three pound tax to the workers and persuade them to strike. They visited different centres and addressed meetings. They were sentenced in December to three months with hard labour, and sent to the Maritzburg prison. Valliamma fell ill soon after her conviction, but refused an offer of early release by the prison authorities. She died shortly after release, on 22 February 1914. Gandhi wrote in Satyagraha in South Africa about his meeting with Vallammai when she was emaciated and terribly ill. She reportedly expressed her strength to fight, go to jail again, and even die fighting for the cause. It is stated that on 15 July 1914, three days before he left South Africa, Gandhi attended the unveiling of the gravestones of Nagappan and Valliamma in the Braamfontein cemetery in Johannesburg. Insightful article. I'm a South African author and have recently finished my second novel, Soul Force which is based on the life of Valliamma. I am about to launch and looking for a good distributor in India?